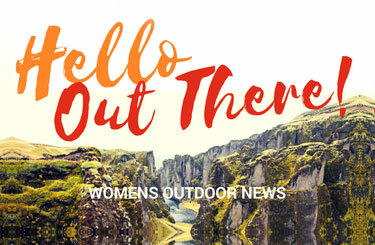 Smith & Wesson knocked it out of the ballpark this week with 3 product releases regarding improvements to its popular Shield, M&P and 1911. 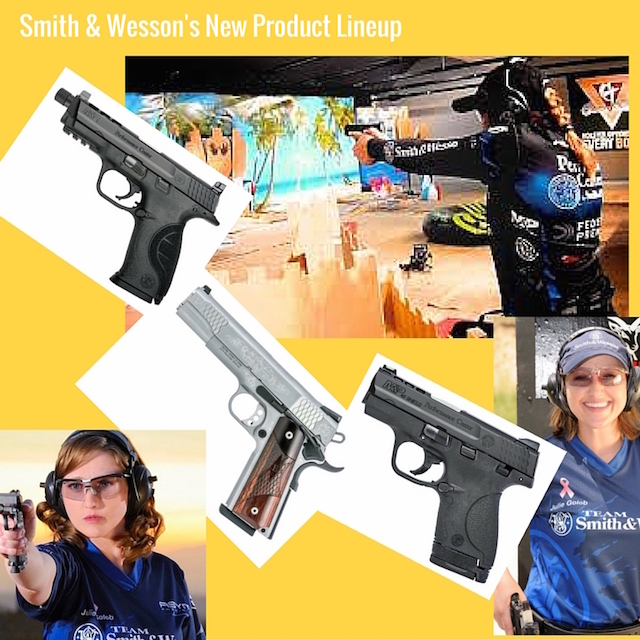 Julie Golob, captain of Team Smith & Wesson, plays an integral part in presenting the line of S&W guns to the public. The Shield, introduced a few years ago and meant to appeal to the CCW market, now comes with a factory ported barrel and slide. Available in both 9mm and .40 S&W, the new models retain original design features that have helped to solidify the M&P Shield’s reputation in the marketplace as a reliable and accurate self-defense firearm. The Performance Center M&P Shield is standard with an 18-degree grip angle and a fixed, textured backstrap with additional texturing at the forward portion of the grip. 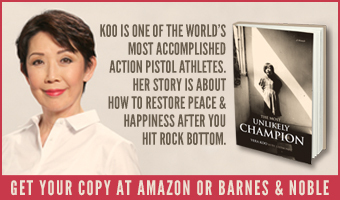 An extended trigger guard allows for operation of the pistol with or without gloves. The new M&P Shield is also engineered with a Performance Center sear for a quick trigger reset and a Performance Center striker plunger for an enhanced trigger pull. Internal features of the new M&P Shield mirror the standard M&P Series. Its stainless steel internal chassis reduces flex while providing a stable shooting platform and its low-bore axis helps maintain ease-of-use and a comfortable feel. 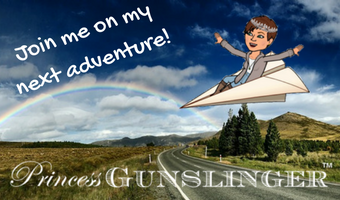 A passive trigger safety prevents the pistol from firing if dropped and a sear release lever eliminates the need to press the trigger in order to disassemble the firearm. A loaded chamber indicator is located on top of the barrel. The Performance Center M&P Shield is shipped with both an extended and flat magazine offering consumers the ability to customize the length of the grip. 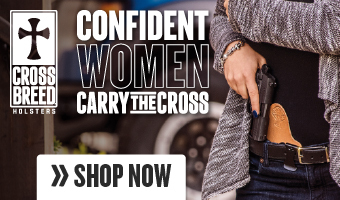 The 9mm M&P Shield offers an 8+1 or 7+1 magazine capacity while the .40 S&W M&P Shield is standard with either a 7+1 or 6+1 magazine capacity. Both the 9mm and .40 S&W M&P Shield carry an MSRP of $490 and are backed by Smith & Wesson’s Lifetime Service policy. 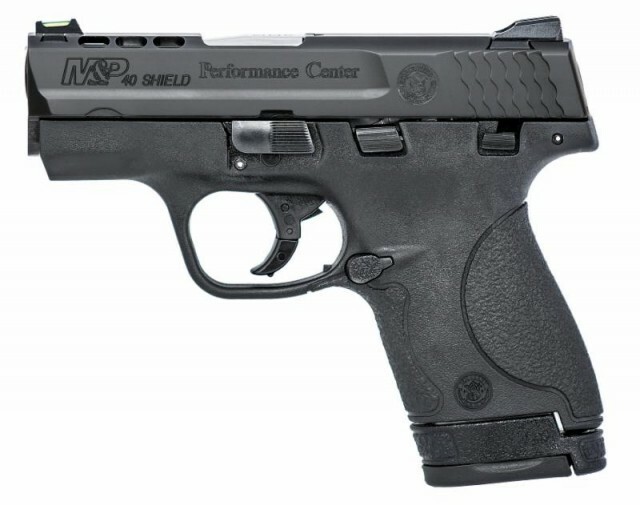 For more information on the new Performance Center M&P Shield Ported pistols, please visit www.smith-wesson.com. 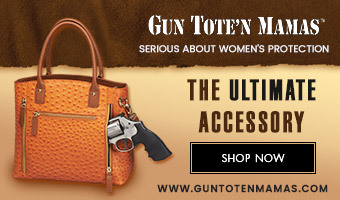 With the popularity of suppressors, it’s great news that you can purchase 2 M&Ps with threaded barrels. Smith & Wesson Corp. today announced that it is adding greater versatility to its premier line of M&P pistols by offering two new versions of the M&P with an additional threaded barrel included in the box. 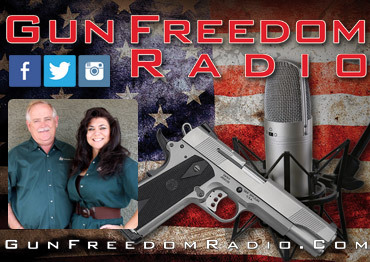 The new 9mm variants, which include the Performance Center M&P Ported and the Performance Center M&P C.O.R.E. (Competition Optics Ready Equipment), allow owners the ability to easily attach a sound suppressor of his or her choice without the use of additional tools. At the foundation of the new M&P Performance Center Ported and Performance Center M&P C.O.R.E. pistol resides a specialized mounting platform on top of the slide that can be conveniently changed to match the desired optic. Five removable brackets allow the user to simply install the corresponding mounting screws to achieve the precise fit and height required. Designed to work in conjunction with the Trijicon RMR®, C-More STS, Leupold® DeltaPoint™, Docter, Insight® MRDS™ and J-Point™, both M&P models offer quick and custom sight installation for the industry’s most popular aftermarket red-dot sight manufacturers. 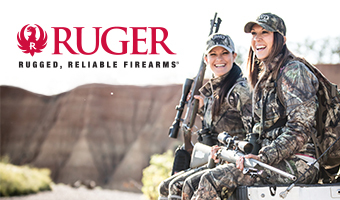 Engineered as a true competition platform, each firearm model retains original design features including a polymer frame with a through-hardened stainless steel slide and barrel, ambidextrous operating controls, striker-fired action and a durable, corrosion resistant finish. For improved handling, both the M&P Performance Center Ported and Performance Center M&P C.O.R.E. feature a new textured interchangeable back strap with prominent stippling. Three patented palmswell grips are supplied with each pistol, providing shooters the ability to tailor the grip size to their personal preference. 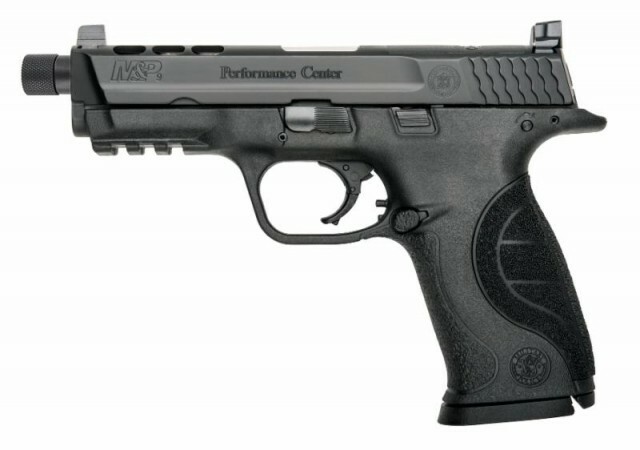 The M&P Performance Center Ported pistol and Performance Center M&P C.O.R.E. 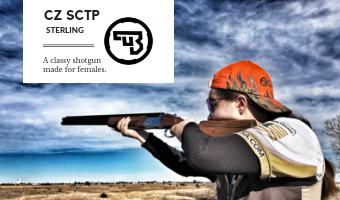 are each standard with a Performance Center sear, providing improved accuracy and precise shot placement by way of the enhanced trigger design. The M&P Performance Center Ported pistol has been further enhanced with a factory ported barrel and slide as well as a user-adjustable trigger stop. Both new M&P models feature a 4.25-inch barrel along with higher sights on top of the slide that can be used in conjunction with the mounted optic. The additional threaded barrel included with both pistols brings an added retail value of $175 and feature a thread pattern of ½”-28-2A. The two 9mm pistols are standard with a 17+1 round capacity and are shipped complete with two magazines. 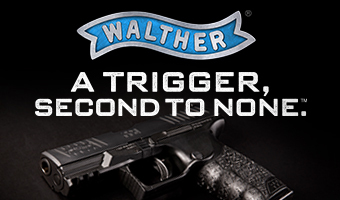 For more information on the new M&P pistol models with threaded barrels, please visit www.smith-wesson.com. 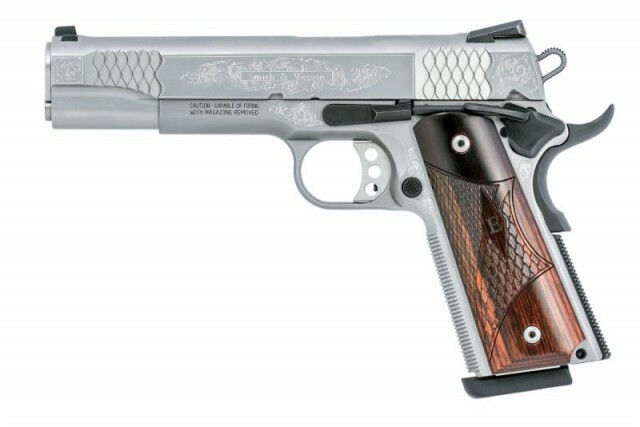 Scrollwork + Smith & Wesson + 1911 = beautiful, functional gun. What more can I add? 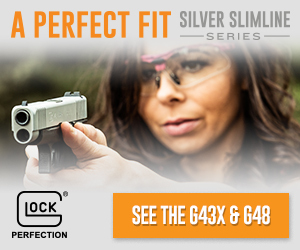 Check out the new firearms offered by Smith & Wesson.